This entry was posted in Uncategorized on September 28, 2015 by bookloverjo. Feo’s mother is a wolf wilder and Feo is a wolf wilder in training. They train tame wolves – who have been discarded by their rich owners – to fend for themselves so that they can be returned to the wild. The wolves who live nearby are the nearest thing they have to a family. They live contentedly in a house in the woods, in a seemingly unending deep winter, surrounded by snow. Until one day a knock on the door disturbs their peaceful and solitary existence and their lives are changed forever. After refusing to obey the Russian Army, Feo is forced to run for her life when her mother is taken prisoner and their house is burned down by the evil General Rakov and his soldiers. I found it really difficult to read this story as I became so swept up in events unfolding that I had to force myself to put it down rather than devour quickly as I really didn’t want it to come to an end, It has the feeling of a timeless classic and I found myself transported into this snowy world which I didn’t want to leave. There are so many engaging elements to enjoy it is a truly magical tale. However it is also filled with dark moments , heavy superstition and drama which make it totally compelling. Katherine Rundell has managed to create these amazing characters who are brave, strong and yet still manage to be vunerable. Feo is feisty, loyal and passionate and is thrust out of her isolation into an unknown world of danger and uncertainty. Ilya the child soldier who has been forced to join the Army but inside has the longing to dance but has had to supress his true desires. 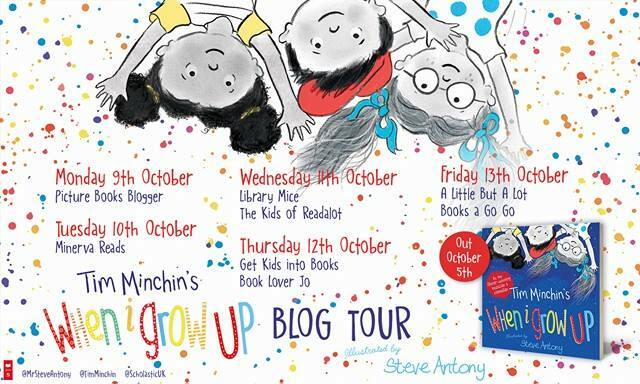 There is also Alexei who can be foolhardy but leads the children in their quest for justice showing conviction for what is right whilst the adults are filled with fear. We also see Feo’s relationship with others develop throughout the story so that Feo learns to trust and depend on people and realise the importance of fighting together for what you believe in. The wolves are an integral part of the story and you find yourself as involved with them as any of the other characters. As you turn each page you can feel the bond strengthen between them which is emotional and heart breaking as they both strive to provide comfort and protection to each other. It provides moment of tenderness, fear and astonishment as the story progresses. It is a fantastic tale which will have you and is full of hope, joy and sadness which will stay with me for a long time. I really recommend that you add this to your to read list because it a unique, captivating and brilliant story. 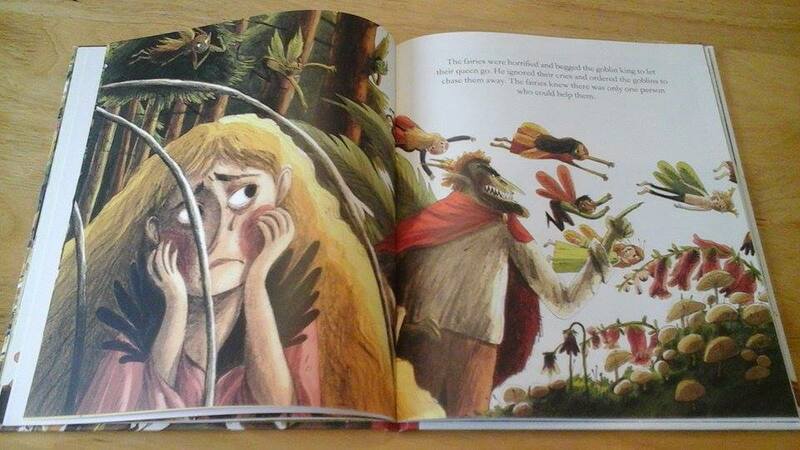 To find out more about this book, there is a fantastic interview at Books For Keeps. This entry was posted in Uncategorized on September 23, 2015 by bookloverjo. This entry was posted in Uncategorized on September 15, 2015 by bookloverjo. 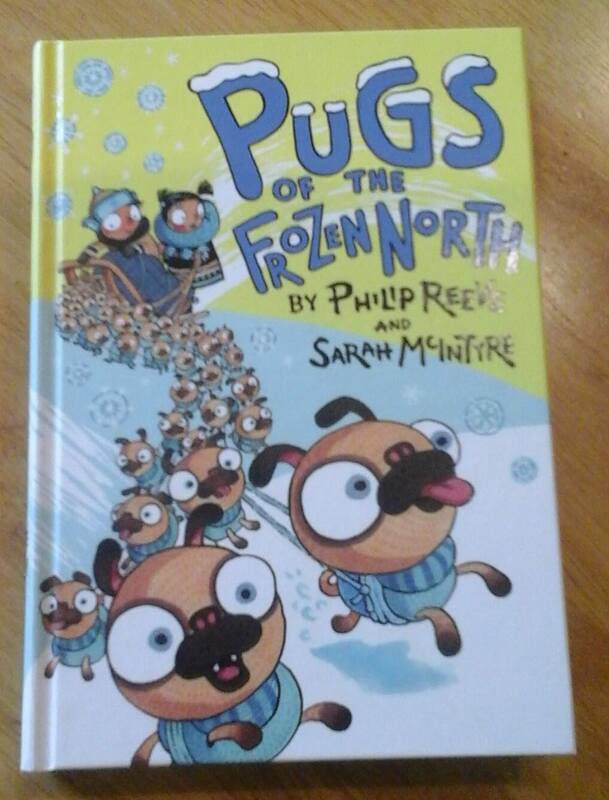 The ‘Pugs of the Frozen North’ is another terrific tale from the incredibly talented Philip Reeve and Sarah McIntyre. Our intrepid duo have already brought us two fantastic adventures with ‘Oliver and the Seawigs’ and ‘Cakes in Space’ and this book is as equally brilliant. Our story begins when a deep winter appears overnight and Captain Jeggings and his crew suddenly find themselves trapped in a sea of ice and have to abandon ship. 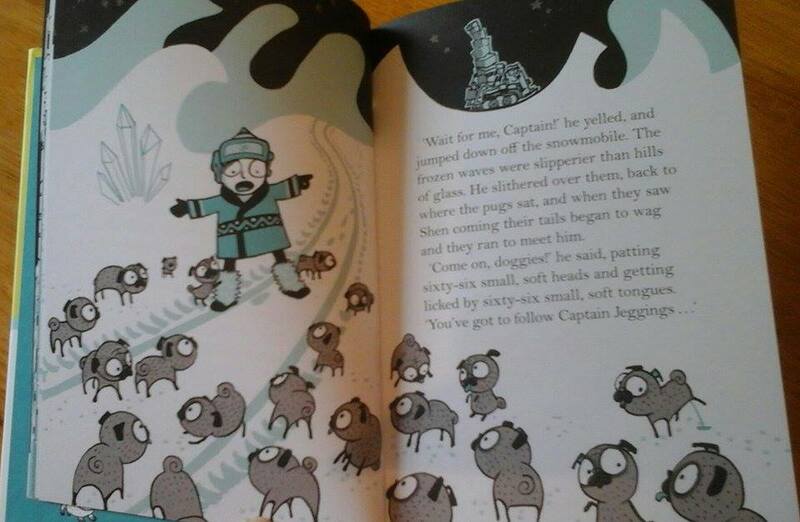 Shen, the cabin boy is left behind all alone, well apart from having 66 pugs for company. 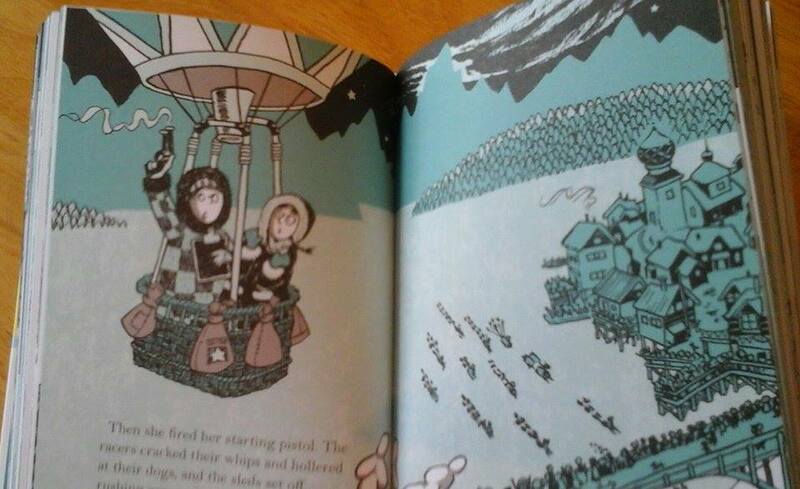 Shen sets off to find the rest of the crew and stumbles upon a town Snowdovia and a girl called Sika who persuades him and the pugs to take part in ‘The Great Northern Race’. Sika wants to win the race so she can meet the Snowfather and make her one wish come true to make her Grandpa well again. The line up of the race participants, resembles the cast of the Wacky Races. We have the dastardly Sir Basil Sprout-Dumpling, the glamourous Mitzi Von Primm, the scientific Professor Shackleton Jones and the nature loving Helga Hammerfest. As the starting pistol is fired it looks like Shen and Sika will be the underdogs as they set off on their arctic mission. 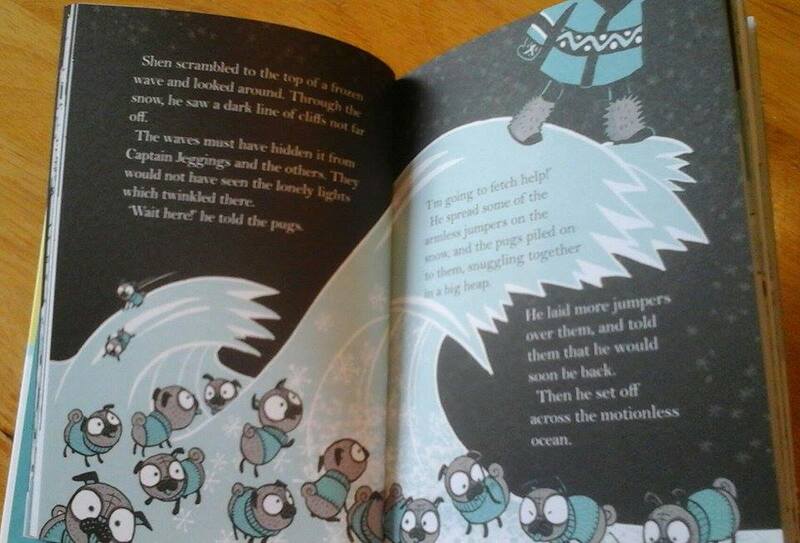 As they journey north through they encounter lots of strange and magical beings including the octopus like Kraken, greedy trolls and noodle loving Yetis. Despite the best efforts of the conniving Sir Basil and lots of hazards that get in their way Shen and Sika finally reach their destination the icicle palace of the Snowfather. 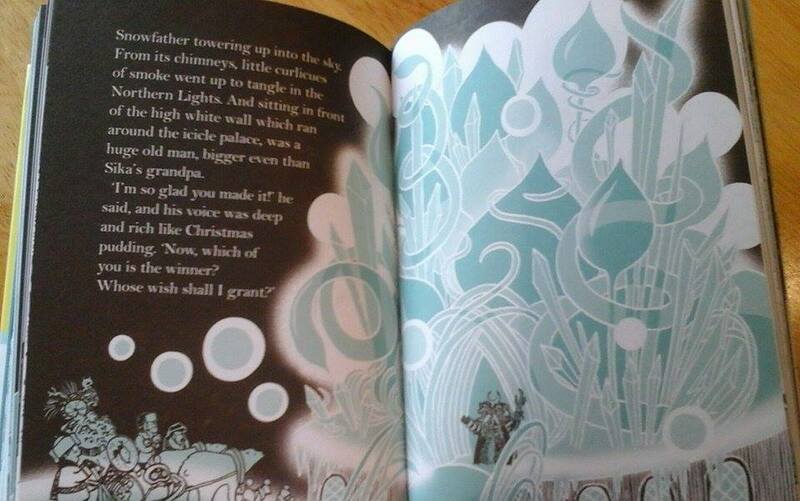 But will they manage to have a happy ending and have their wishes come true, you will have to read to find out more! 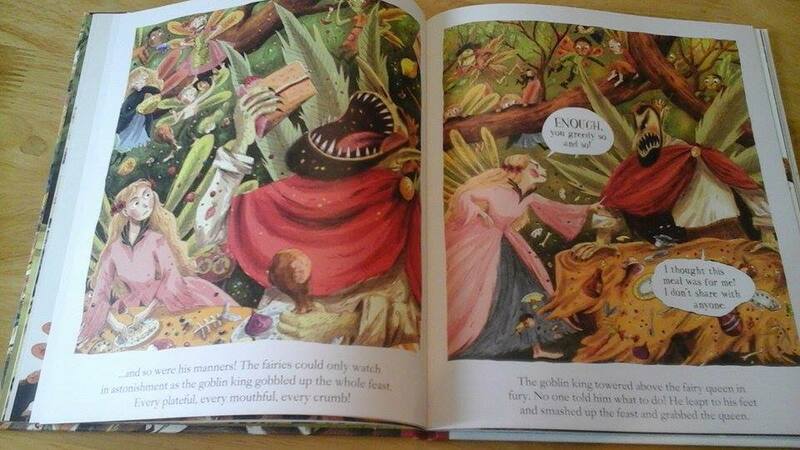 This book is a sheer delight and is a truly brilliant collaboration between Philip and Sarah. 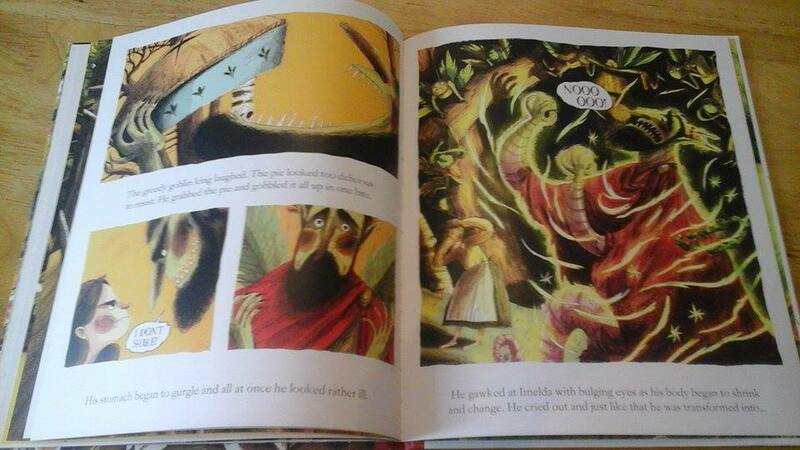 The illustrations are sublime, expressing perfectly the personalities of all our characters. It is full of humour, charm, heart and tension as we journey along with our fearless and generous duo. 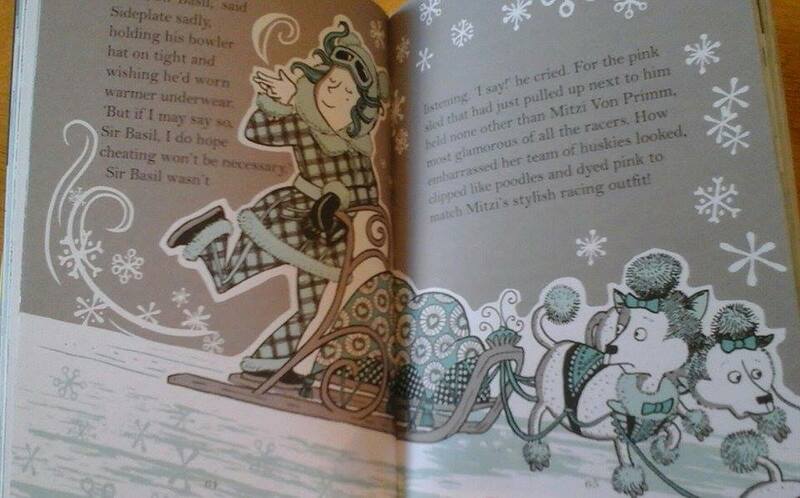 It is also packed full of fabulous details such as the fifty different types of snow which are an intrinsic part of a ‘True WInter’, which made it a total joy to read. I found myself so caught up in this exciting adventure that I really didn’t want it to come to an end. I really recommend that you join them on their adventures as I know you will truly have the ride of your life. 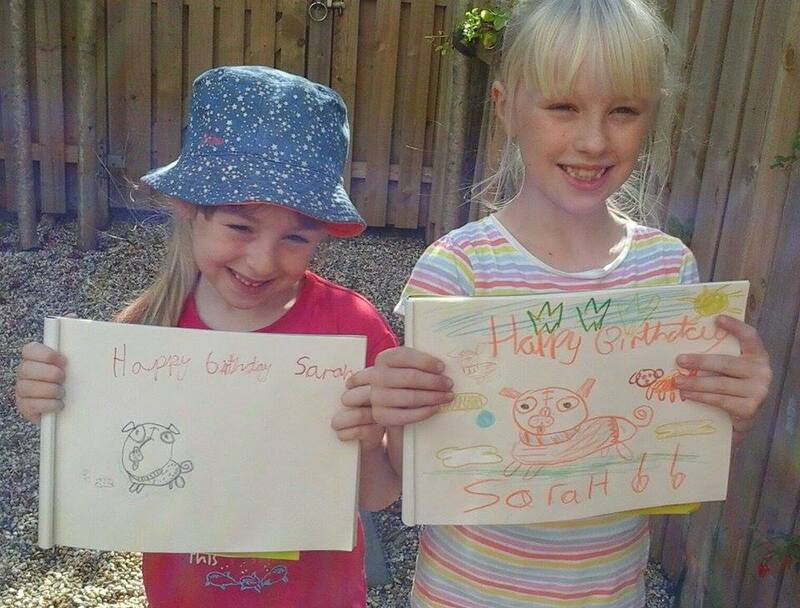 My girls recently gave it a go when making a pugtastic birthday message for Sarah on her birthday, I think they did a fab job so why not give it a try! This entry was posted in Uncategorized on September 12, 2015 by bookloverjo. 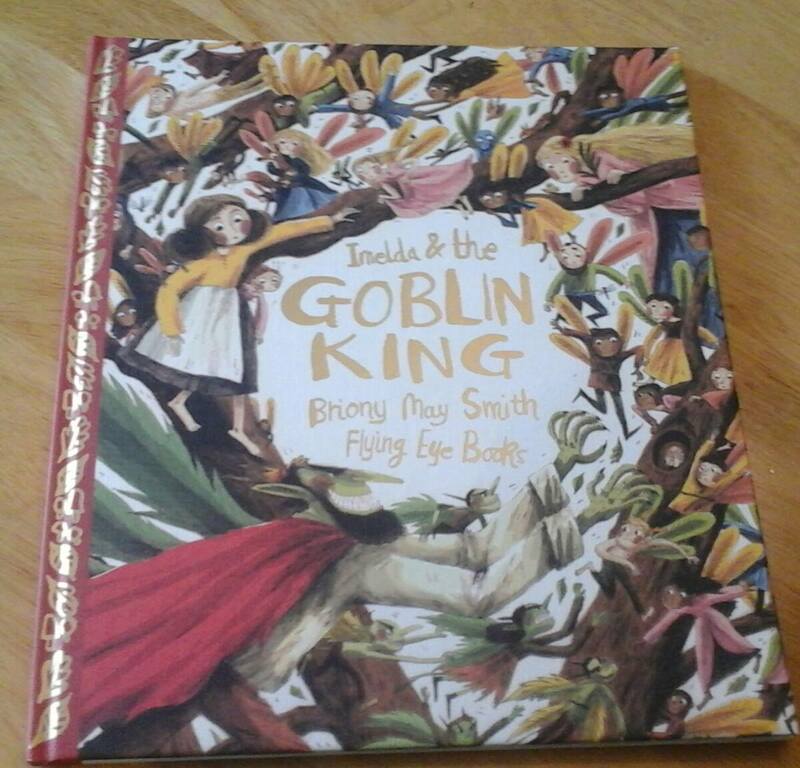 When I received this gorgeous book in the post from Flying Eye Books, ‘ Imelda & the Goblin King’ by Briony May Smith, I was truly thrilled. I had heard so many lovely things about this and seen a few sneak peaks and it truly lived up to my expectations. 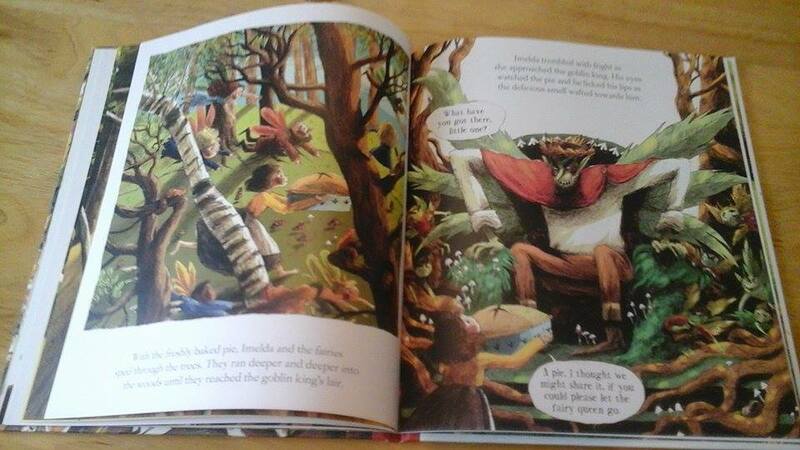 This is a first picture book from Briony May Smith and it is a total treat from start to finish. It tells the tale of a girl called Imelda who lives next to a wood full of fairies, ‘whispering trees and enchanted groves,’ She spends her day playing with these magical folk and learning the secrets of the forest. 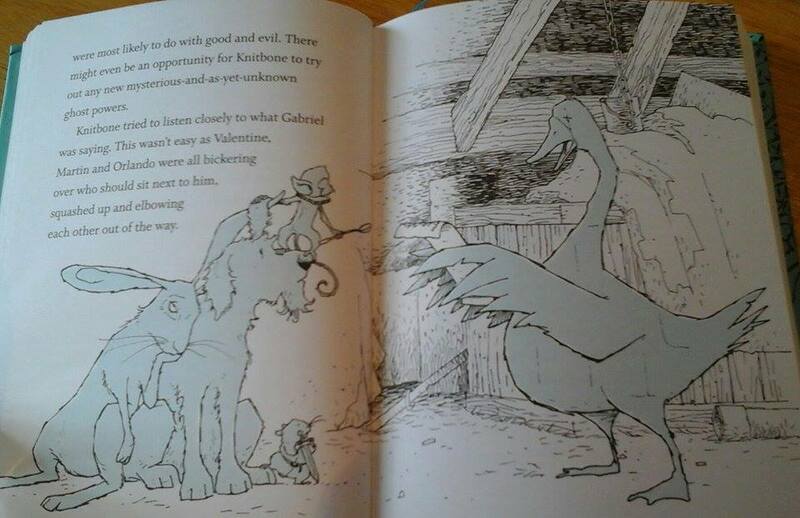 But then one day a nasty creature the Goblin King appears who stomps around terrifying all the fairy folk with his meanness and angriness . The fairy queen hopes that by being nice to the Goblin King then he would be kind back to them and she invites him to the fairy solstice. Unfortunately her plan backfires when he gobbles up all the feast to himself and when the Queen tries to challenge him he kidnaps her and locks her away in a cage. The Goblin King refuses to listen to the pleas of the fairies to let there Queen go free so they turn to Imelda to help them rescue her. Imelda comes up with a cunning plan and bakes a special pie. She gives the King one last chance for redemption, if he shares the pie he will be fine but if he is greedy and eats it all he will pay the price and be punished. However the Goblin King can’t contain his greediness and eats the pie in one big gulp. He is then turned into a worm and Imelda is triumphant as will no longer be able to frighten or bully anyone else in the forest again. 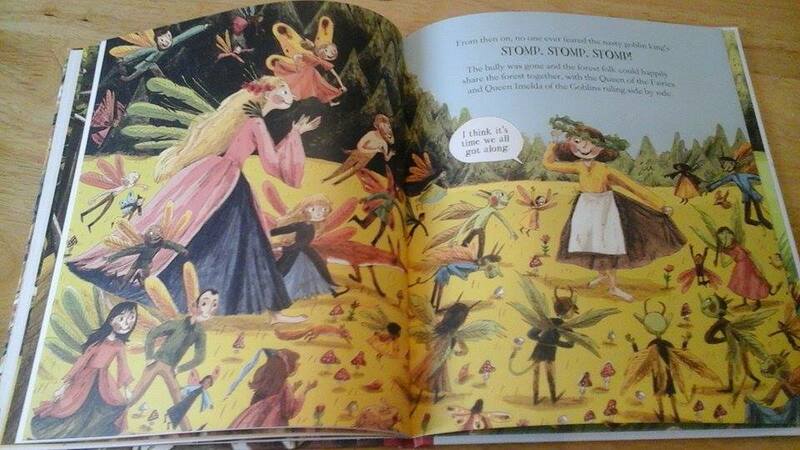 The Goblins are all delighted to be free from their mean ruler and make Imelda their Queen. This story is delightful, the Fairy Queen is wise and kind, the Goblin King is perfectly menacing and Imelda makes for a feisty heroine. 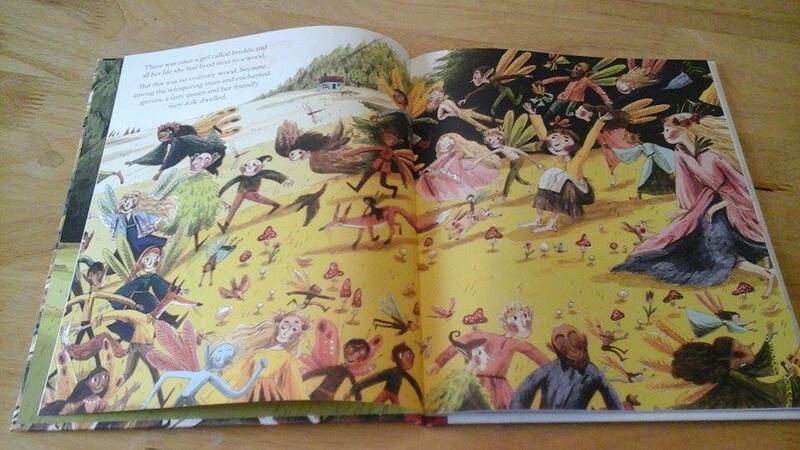 Every page in this book is totally exquisite and full of intricate details, even the tiniest of fairy folk is drawn with great attention. 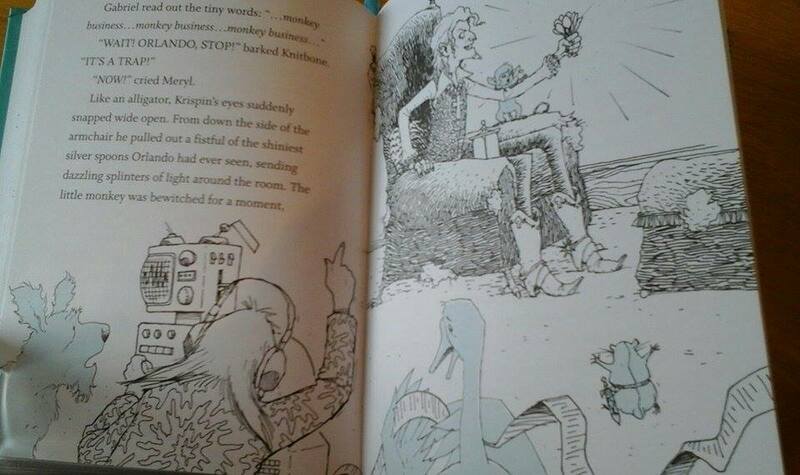 You find yourself totally drawn into this world and could spend hours appreciating all the stunning illustrations. 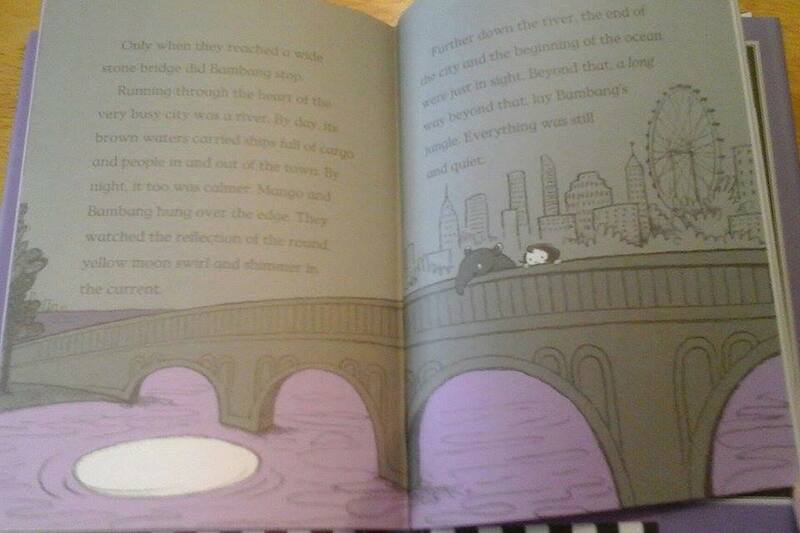 I think Briony May Smith is immensely talented and I look forward to enjoying more of her work in the future. This entry was posted in Uncategorized on September 8, 2015 by bookloverjo. 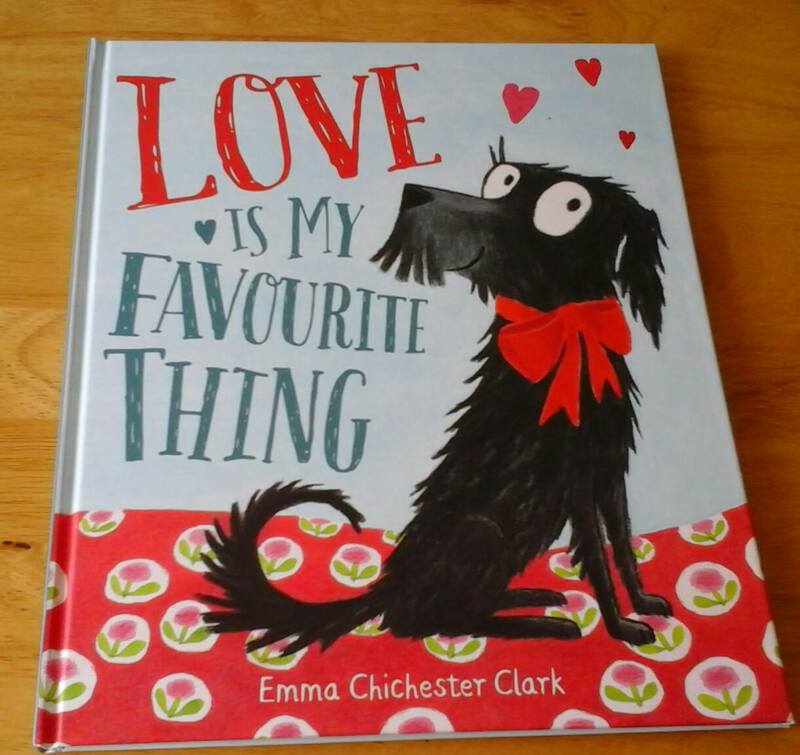 I was so excited to hear that the lovely and talented Emma Chichester Clark was bringing out a picture book about Plumdog. 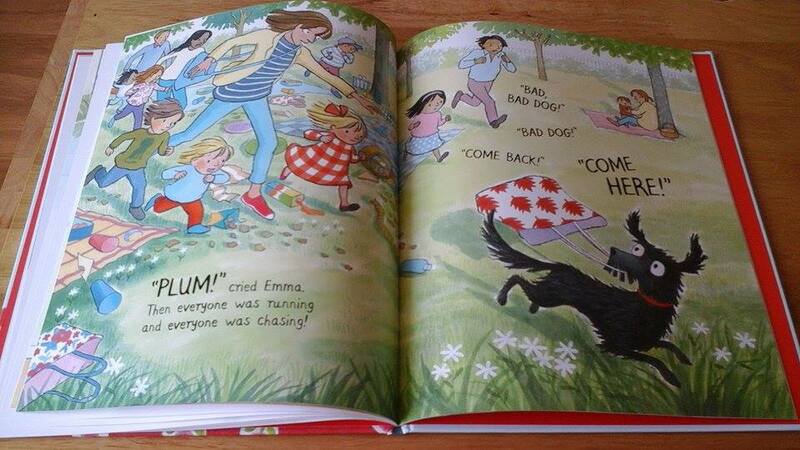 Emma has been blogging about the real life adventures of her dog Plumdog since 2012, she even has her very own website. 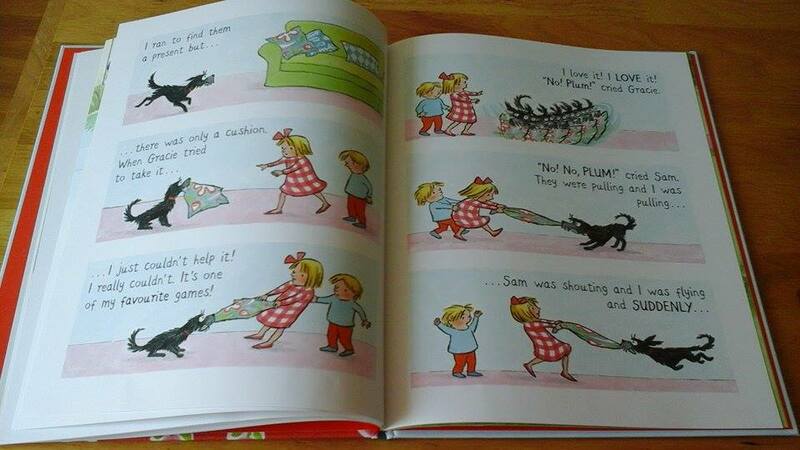 I’m a huge fan of Plumdog who is a “whoosell” a whippet, Jack Russell and poodle cross and is always getting into mischief. 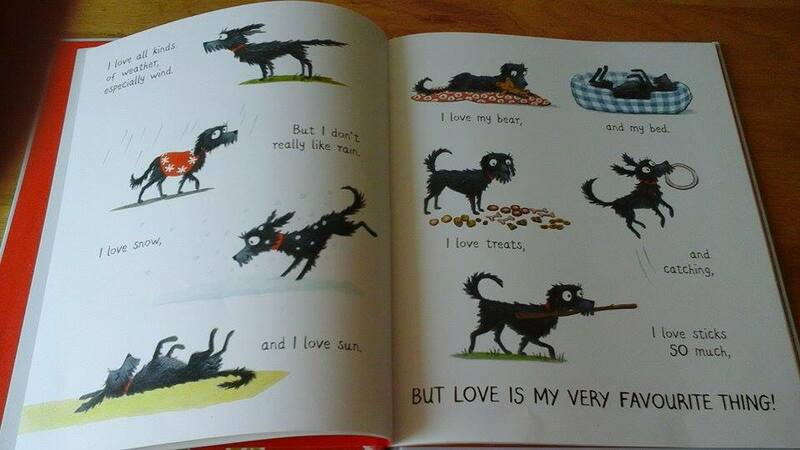 So how much do I love Plumdog? Let me count the ways! However the problem with loving things so much, is that sometimes it gets you into really big trouble. I love that although Plum knows she shouldn’t do something she has this irresistible urge to do it anyway she just can’t help herself. She jumps in the pond because she loves water so much even though Emma tell her not to. Water is another one of her most favourite things! She manages to ruin one of Emma’s favourite cushions because she wants to play one of her favourite games. And when she sees a small child eating ice-cream which she really loves, she just can’t help running off with it when it gets dropped. 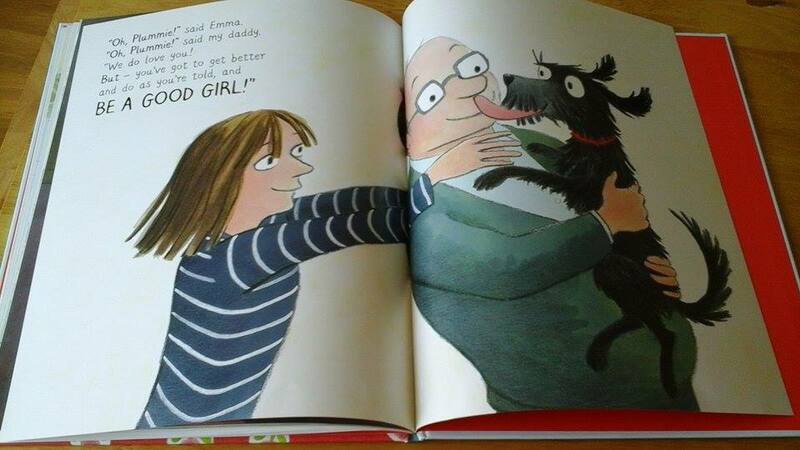 However because Plumdog is so adorable her Mummy and Daddy can’t stay too cross with her for very long. 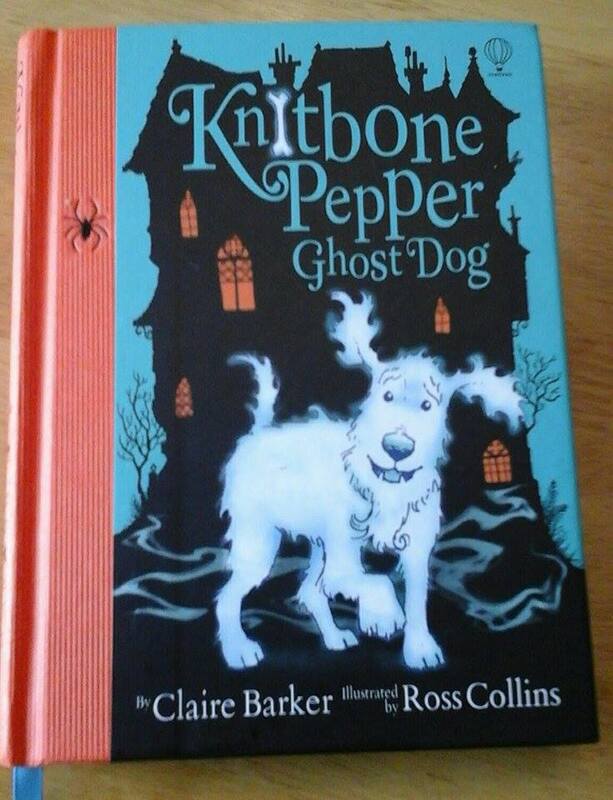 This is a truly delightful tale which will have such a wide appeal to so many children, both my girls who are 9 and 6 adore this book. What makes this book so irresistible is the stunning illustrations by Emma Chichester Clark which are so rich and full of detail that you feel like you’re stepping inside this story. 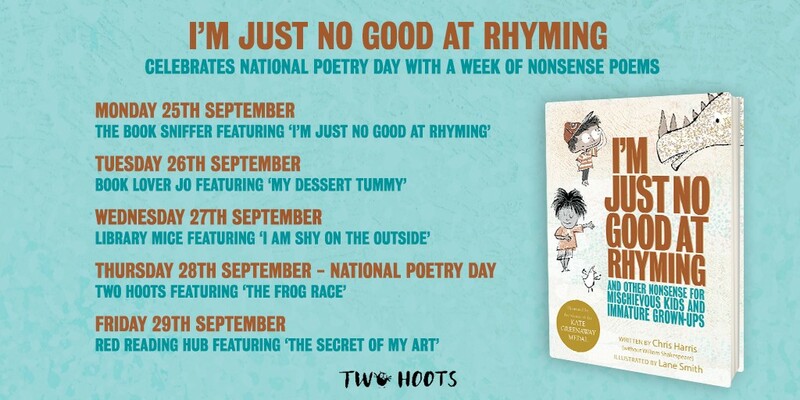 I think it is a perfect book for sharing and helping younger children understand that even if they do sometimes get up to mischief and get told off they will still be loved. 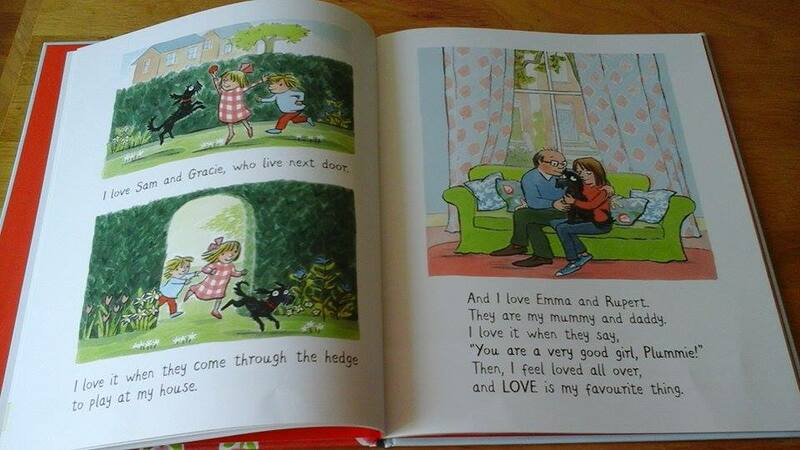 I’m not sure that it is possible for any child (or adult) not to totally fall in love with Plumdog by the end of the story. Hopefully we will have further adventures to come from this delightful dog. 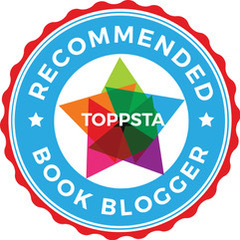 This entry was posted in Uncategorized on September 7, 2015 by bookloverjo. 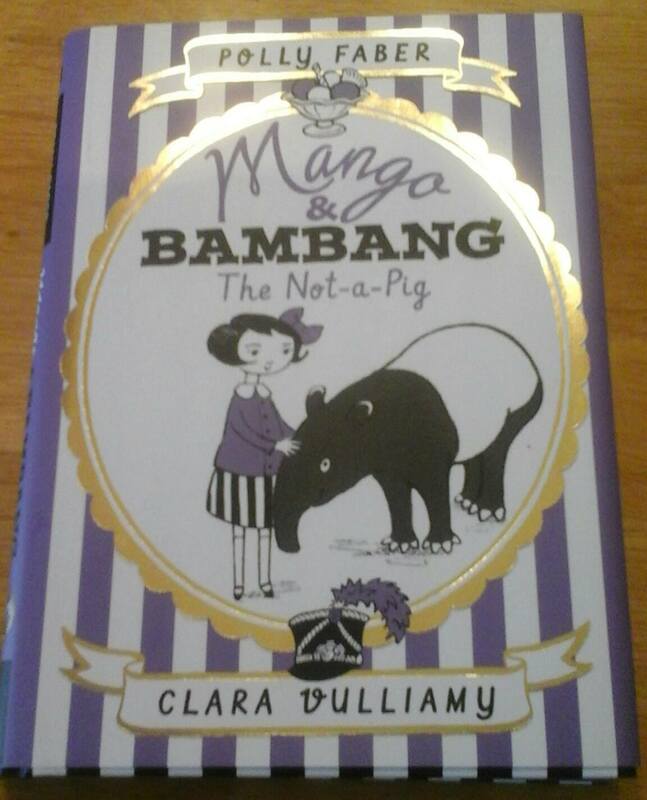 I have been waiting in anticipation for the release of ‘Mango & Bambang The Not-a Pig’ by Polly Faber and Clara Vulliamy. I knew if the story inside it was just a tiny bit as gorgeous as it looked on the outside then it would be an absolute gem and I was right it’s fantastic. 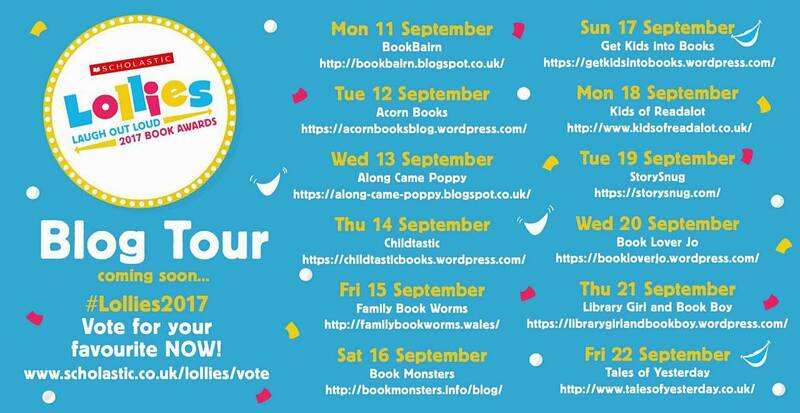 Unbelievably this is Polly Faber’s debut book and combined with the extremely talented Clara Vulliamy’s illustrations it’s a must have read. Mango is a karate lover, chess player and diver off high boards at the swimming pool and lives with her very busy Papa. We get the feeling that she has to keep herself very busy to stop herself from feeling lonely and she is very good at keeping herself busy. 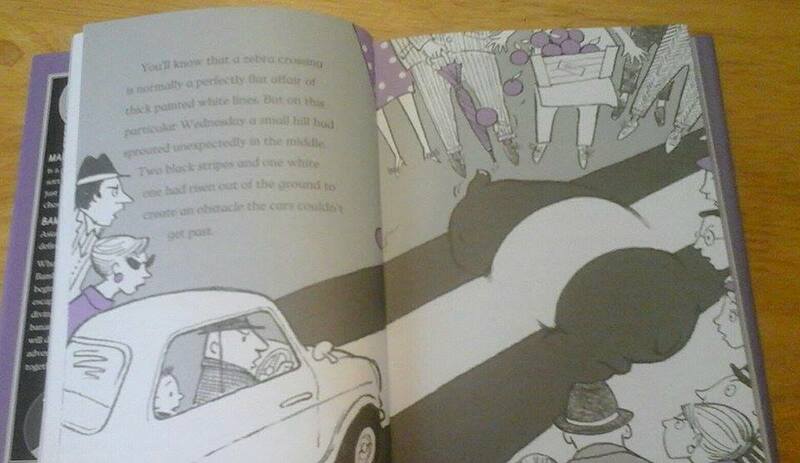 All this changes when Mango encounters quite unexpectedly one day a Tapir called Mango who is causing quite a commotion lying in the middle of a zebra crossing. All the grown ups are in a kerfuffle and don’t know what to do and panic over what they believe is a mutant sewer -pig in their midst. But Mango being a very intelligent sort of a girl informs them that Bambang is clearly a tapir who has probably got lost after taking a wrong turn in the jungle. 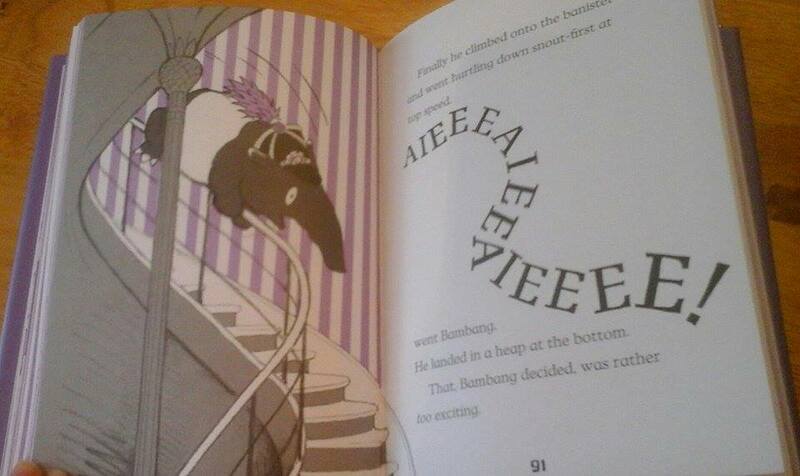 She manages to persuade Bambang to move which all the grown ups have failed to due and invites him home for pancakes and to stay with them and so their unlikely friendship begins. The rest of the story is full of delightful adventures for our pair but we also start to see just how in different ways they need each other. 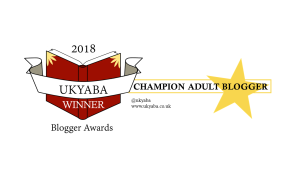 It is also a reassuring tale for children who might feel like they don’t quite belong or need support to try something new as we see both our characters experience these emotions. At the heart of this lovely story is a true tale of friendship and kindness which I found so enchanting, I really can’t wait to see more from our duo. 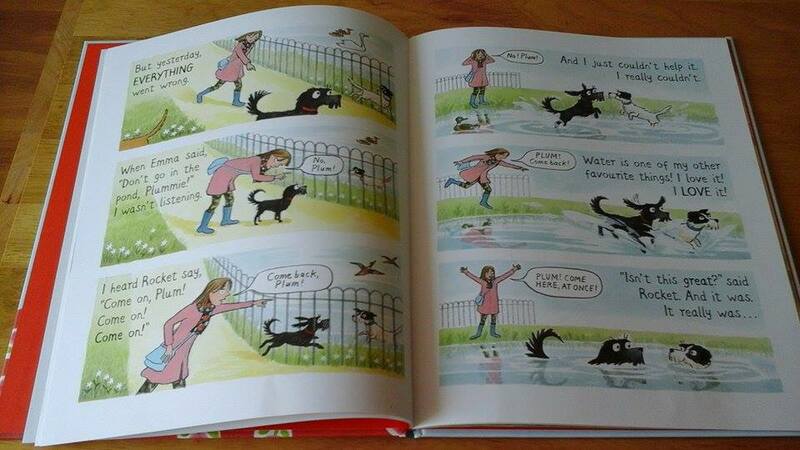 Polly Faber’s beautiful storytelling is accompanied by Clara Vulliamy’s stunning illustrations which brings the story alive in this vibrant and humorous way. 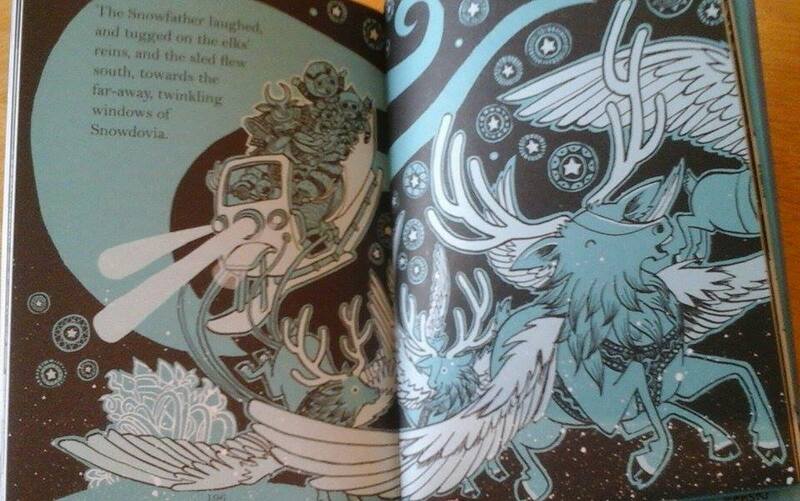 The whole book is a visual treat from start to finish and I coveted from first seeing it because it was so gorgeous. 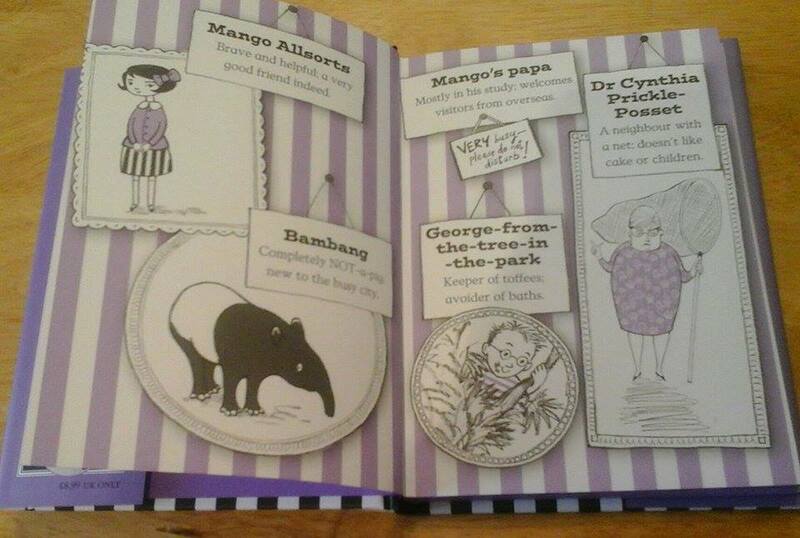 You can’t help but fall in love with Mango and Bambang, I know I certainly have! This entry was posted in Uncategorized on September 2, 2015 by bookloverjo.